The conservative news channel has launched and I find it incredibly annoying. http://www.sunnewsnetwork.ca/ It's not that I want to prevent a right-wing channel or fear the influence of what some people have called, 'Fox News North.' It's just that I started this Blogspot blog with the sole intent of becoming bigger than the Canadian Broadcasting Corporation. And I was making big gains, too. Then comes along Sun TV and I have to compete with that? 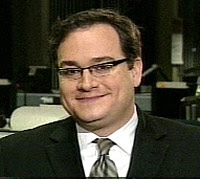 They even have right-wing journalist and publisher Ezra Levant. So I had to go to work not to be outdone by Sun: I just had to do better. If they have Ezra Levant than I have Ezra Pound. 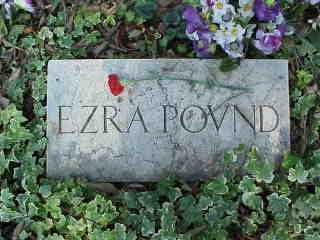 Ezra Pound is the more famous of the two Ezra's and my Ezra is so right-wing that he makes Levant look like a Trudeau Liberal. "So, first of all, the entire El Canadu editorial staff welcomes you aboard Mr. Pound. I'd like to ask you, recent polls have seen Jack Layton and the NDP making gains. 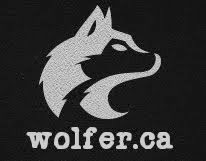 With the Harper government always warning of a coalition emerging between the opposition parties, should Layton and Ignatieff work togethor as not to split the moderate vote?" "Concise and informative as always, Mr. Pound. With what Harper allegedly said on the weekend, do you think that Canadians are concerned that a Tory majority will end universal health care?" "I, myself, never thought about it that way. You know, I knew this group of poets in college who said pretty much the same thing." "Oh, no you didn't! No you didn't! You dog! I never thought such an illustrious poet such as yourself would ever do such a thing. That's hilarious." We'd like to thank Mr. Pound for being with us today. We hope that this is only the first in a series where we discuss Canadian politics with him.